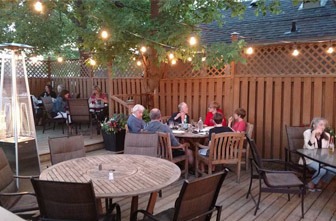 Whether your tastes run to a romantic dinner by the lake, a delicious home-style meal or roadhouse fare, Fort Erie offers delights that compete with the best. You can also experience the tastes of ethnic cuisine such as Italian, Chinese, Lebanese and Greek. We encourage local restaurant owners to contact the EDTC to get your restaurant featured in our Restaurant Spotlight. Located in the heart of downtown Ridgeway, 335 on the Ridge offers culinary creations featuring fresh, locally grown ingredients. From specialty cocktails to homemade pizza and vegetarian options, 335's menu can be enjoyed by all either inside the contemporary dining room or outside on one of two patios. Delicious, authentic, fresh Latin American inspired Tacos, Burritos, Quesadillas, Nachos, Empanadas. 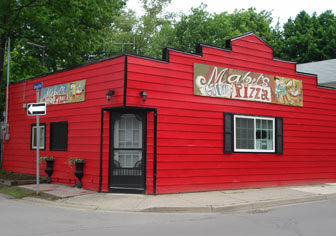 Take out and outdoor patio area with plenty of parking. Located along the Garrison Road Corridor, Artemis Restaurant is the recipient of the Readers Choice Award for Best Greek Restaurant. While Artemis specializes in Greek cuisine, their menu features a selection of Canadian dishes as well. All meals are freshly prepared with the finest ingredients. Artemis Restaurant is sure to offer a wonderful dining experience in a clean and friendly environment. 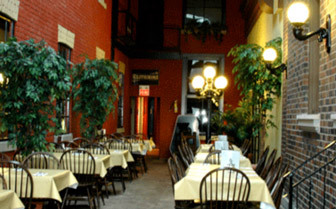 Bridgewater Restaurant is nestled in a quiet corner of Fort Erie. 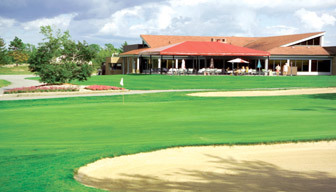 Bridgewater offers great food and great atmosphere with a picturesque view of the golf course at Bridgewater Country Club. Bridgewater Restaurant features lunch and dinner specials including an all-you-can-eat soup and salad bar, Friday night Fish Fry and Saturday night Prime Rib dinner. 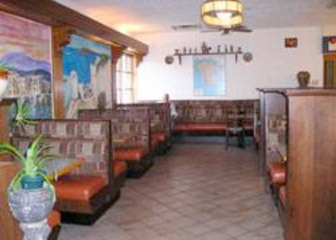 Bridgewater also offers Sunday Brunch which features their famous omelet station. The Brimstone Brewing Company is a smaller batch independent craft brewery in the heart of downtown Ridgeway. 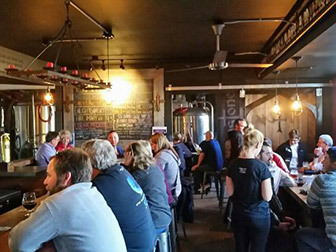 Host of the annual Albino Rhino Beer Festival in the spring, the Brimstone Brewery is located inside The Sanctuary-Centre for the Arts and is home to a tap room, the restaurant Crave Local Fresh and has a retail store for all to enjoy! 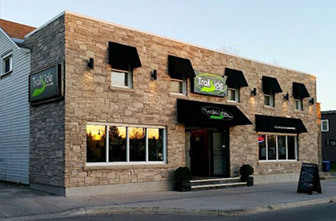 Providing appetizing food and a friendly atmosphere for over 40 years, this family-owned restaurant offers Canadian-style cuisine from its convenient location on Garrison Road (Highway 3) in Fort Erie. The fresh fish and chips are a long-time favourite amongst locals, not to mention a large and delicious selection of lunch and dinner specials. Take out is also available. 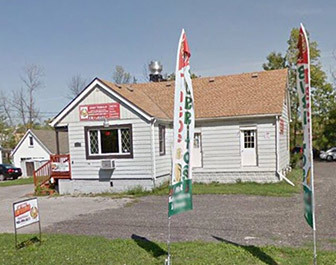 Satisfying the dining needs of Fort Erie and Buffalo NY since 1967, Happy Jack’s specializes in Chinese cuisine, but also offers a wide assortment of Canadian dishes, as well as having great staff who will make your dining experience at Happy Jack's that much better. 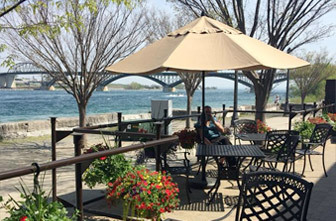 Happy Jack’s also offers a schedule of live jazz band concerts, either in their 240 seat dining room, or on its beautiful 140 seat patio deck which over looks the beautiful Niagara River. With a menu that evolves with the seasonal availability of fresh ingredients, The Kitchen at 335, located in downtown Ridgeway, offers the freshest local and artisanal Canadian flours, herbs, cheeses, meats and produce to create their dynamic menu. From these basics they build breads, pastries, sandwiches, salads, bowls, soups, smoothies, savory dishes and irresistible desserts. Also offering full catering and private event services. At Mabel's Gourmet Pizza, our New York style thin crusts are made in-house with the finest whole ingredients. Each homemade pie is available on either white or whole wheat dough. We offer our gourmet specialty pizzas along with our basic favourites. Located in Crystal Beach, by the beach, we are open year round. 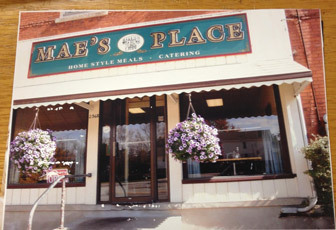 Mae’s Place, has been serving up fast, delicious, home cooked meals for over 40 years. 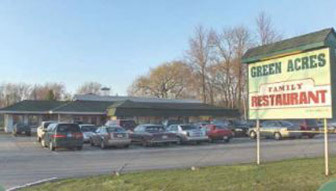 Passersby looking for the QEW, and hungry families preparing for a full day at Safari Niagara down the road, can fuel up on ample portions from a concise list of breakfast selections. Lunch and dinner offer a selection of fish and chips, haddock, breaded shrimp and scallops, liver and onions and hot roast beef sandwiches. 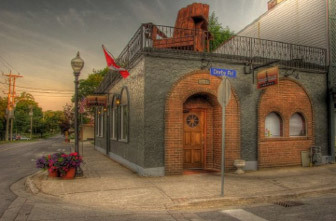 Located in the heart of Fort Erie, the Old Bank Bistro offers excellent seafood, steak and pasta dishes. Specializing in Mediterranean, Greek and Italian cuisine, you can be sure to find your favourite with an array of tantalizing creations. Friendly service and unique courtyard atmosphere ensures a delightful casual dining experience you're sure to love, because it's always better at the bistro, you can bank on that! 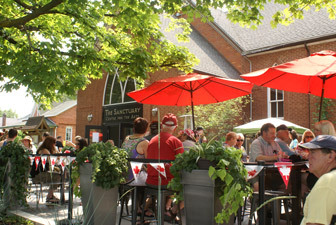 The Sanctuary – Centre for the Arts is a community based art gallery, studio space, performing arts centre and a hub of activity for people of all ages. The centre houses events such as theatre performances, art openings, concerts, fundraisers, fashion shows, conferences, wedding etc. 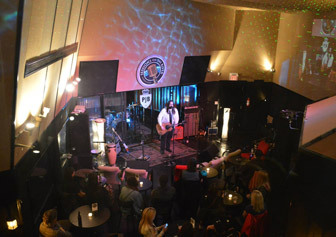 This recording studio and record label housed in the former Parkway Movie Theatre features new, inspiring musicians as a live music venue on Fridays and Saturdays throughout the year. Be a part of the studio audience, in this fully licensed establishment, as they broadcast this new music around the world. Check out the dates, concerts and open mic nights online. One of Crystal Beach's most lively bar & grille, South Coast Cookhouse has quickly become a locals' favorite and a dining destination to from outside the area as well as Crystal Beach's summer resident crowd. Large portions, flavourful dishes cooked consistently every time, and always served with a smile, South Coast is not to be missed. Call ahead to learn more about South Coast's daily food specials, or to see what’s new behind the bar. There is always something going on at South Coast. Downtown Ridgeway's newest hot spot, Trailsides offers great food, cold drinks, entertainment and live music, a brand new patio as well as a games area and everything else you could want from a great sports bar & grill. 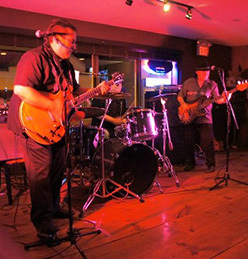 Visit Trailsides website for up-to-date entertainment listings along with daily food and drink specials. Vaticano Restaurant offers authentic Italian cuisine from the renowned Celebrity Chef Felice Vacca. Vaticano's menu includes handmade pasta and pizza, made with only the freshest ingredients. 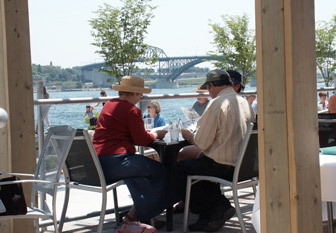 Enjoy a dining experience in the lavish dining room, or on the patio with an unforgettable view of the Peace Bridge and Niagara River. Located along the Garrison Road Corridor, Yukiguni II offers authentic Japanese Cuisine in a quaint atmosphere. 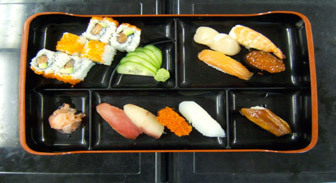 Yukiguni II features the freshest selection of sushi, sashimi, tempura and much more. Yukiguni II is open for lunch and dinner daily.